It’s become quite hard to hear stories about Black activists dying, especially when the primary reason is because they choose to fight for equality everyday. Marielle Franco was a Brazilian politician, feminist, and human rights activist from Rio de Janeiro. She died on March 14th fighting for the rights of women and favela dwellers, after being shot while in her vehicle. On Wednesday around 9:20 p.m., armed men gunned her (and her driver/bodyguard) down. She was shot 9 times—four to the head, while on her way home from an event about young Black women who are changing power structures. 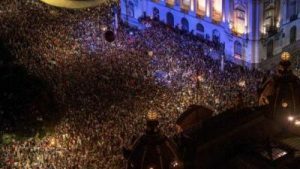 Her death has touched so many people that supporters have organized vigils and protests in more than 20 cities across Brazil. Most of these protests were against the genocide of black people in Brazil. Franco proved that a black person from a favela could be educated, and fight against the social injustice that black Brazilians suffer from every day. For women, she proved that they could overcome sexism and machismo in Brazil. Her death is severely affecting those who suffer the most from Brazil’s violent, racist and sexist society, Afro-Brazilian women. In September of 2016, Franco became a councilwoman representing the liberal Socialism and Liberty Party in Rio de Janeiro. Her win was remarkable because she grew up in Maré, one of Rio de Janeiro’s poorest and most dangerous favelas. She decided to pursue human rights after she lost her best friend to gun violence in the favela. This is what made her so relatable to the people of Brazil, because she was one of them and knew first hand of their plight. Unfortunately, this assassination has made Franco became one more statistic in this genocide. Just over 50 percent of Brazil’s population is Black and they account for 2 out of 3 murder victims throughout Brazil. Blacks are also over-represented in favelas where violence and murder by police run rampant. Last year, the Rio de Janeiro police force killed more than 1,000 people. 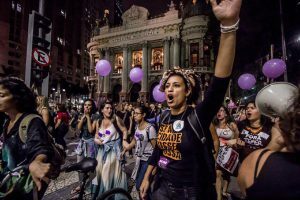 Black women in Brazil also disproportionately suffer violence—a recent study revealed that young Black women are twice as likely to suffer from murder as their White counterparts. Sound familiar? Those statistics are quite the same as the ones here in the U.S.A. 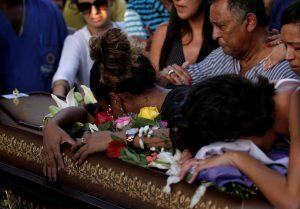 Many favela dwellers believe that Franco’s death is connected to her stance against police violence. Four days before her murder, Franco publicly called a police battalion unit known for its brutality the “murder unit” and accused it of physically harassing people in a particular favela. The day before her death, she used her Twitter account to acknowledge the death of a young man who was killed by the police as he was leaving a church. Sadly, she leaves behind a partner and a teenage daughter. Hopefully, there is a full investigation and the men who gunned her down will be sentenced to jail with no mercy. If our leaders continue to get murdered, it makes the future look very grim. This is possibly the reason why most individuals choose NOT to be active or share their voice, sometimes they feel like it’s not worth the hassle. But without the fight, their is no success, no hope, no victory. So I guess the most significant question one can ask is, what do we do NOW?? Reblogged this on Human Rights & Activism. What a sad, horrific tragedy! This story makes me so sad. This world is evil. Great article! What a terrific article. This is very sad news and I truly hope her family gets justice. Just proves that fighting for Civil Rights is still as dangerous as it was in 50s and 60s. It really is a great piece. I shared it on Twitter. Happy to see all of this Black talent.